What a week! Whew. I am pooped. 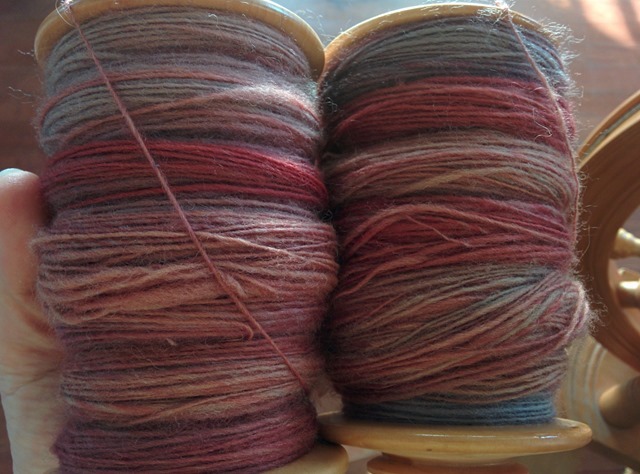 I held back posting on Friday (as I normally do) in order to share with you my Spinzilla experience. I am tired, yo. It was tough. 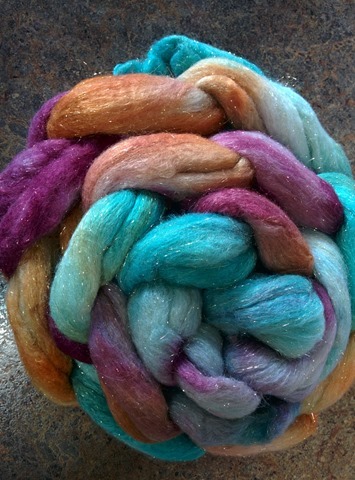 I spun a total of 3,918 yards. And I have lots of photos to share my experience with you! My upper back is actually a bit sore. I know what it is from: Navajo-plying. 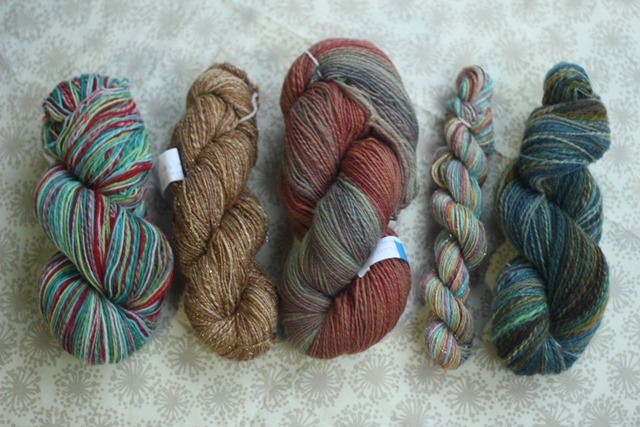 No Navajo-plying next year! It is hard for me to do well when I am spinning for speed. 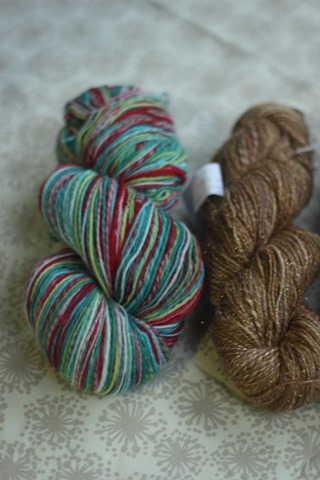 I feel that my n-plying still needs precision and, therefore, I was quite tense while I was plying. It is also slower than a traditional 2 or 3-ply. I learned a few things this week. 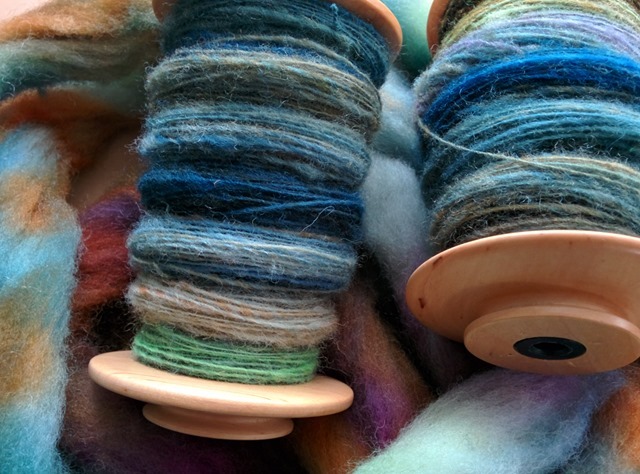 Firstly, that I love spinning a variety of fibres. Second, a portable wheel would be a really wonderful and highly valued addition to my ‘tools’ – I currently spin on a Kromski Minstrel, which I enjoy but would like more portability. 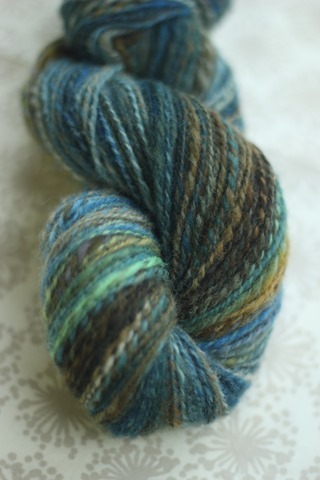 And third, I just really love making yarn! 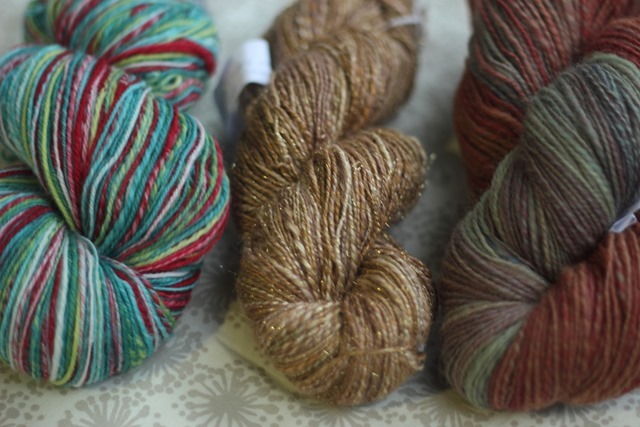 I am so excited to start dreaming about knitting projects for all of this yardage but really … I just loved the process of making. What am I most proud of? 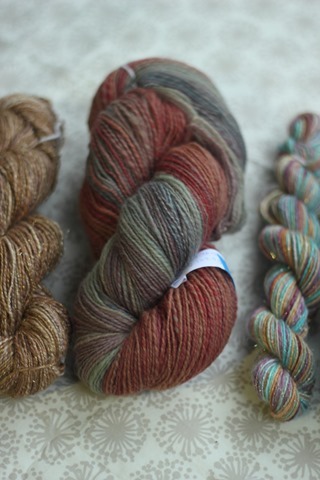 The Ancient Arts Fibre Crafts 100% Falkland. I was so nervous to spin this! I so badly wanted it to turn out well … and it did! I divided the braid into two long stripes and spin each end-to-end with a short backwards draw. 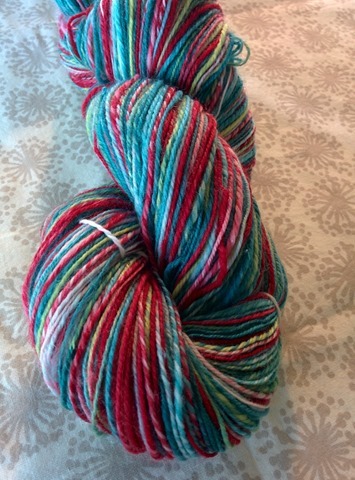 I then did a traditional 2-ply. 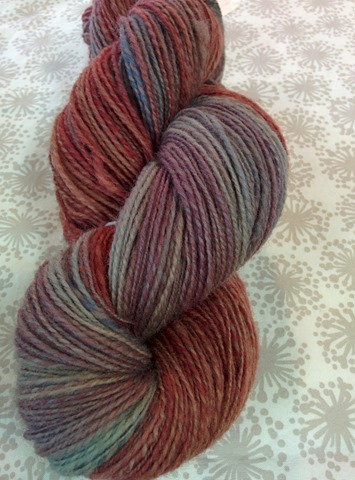 It took 3 bulging bobbins to ply this! 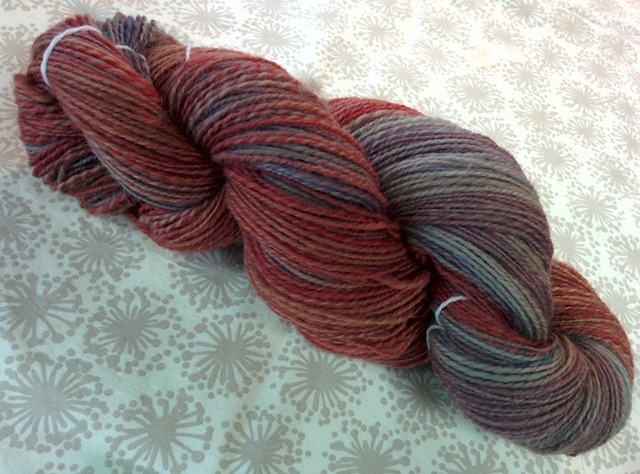 The finished yarn is light and airy with a roughly 60 degree angle of twist. 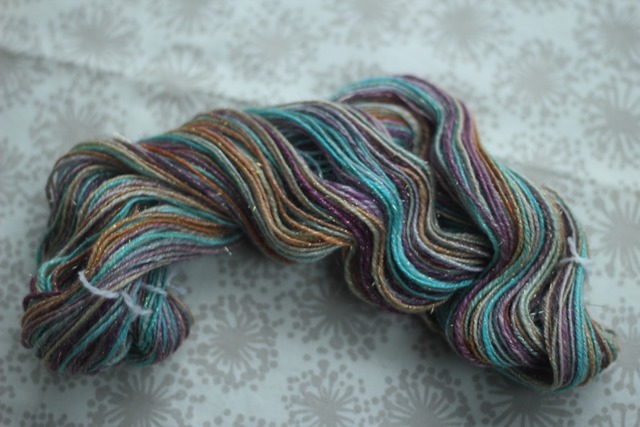 I had spun a sample prior to Spinzilla, which I am thankful that I did since I continuously referred back to it throughout this spin! My third project finished up a project I’ve been working on for a while and was ready to ‘get off the wheel’ so to speak. 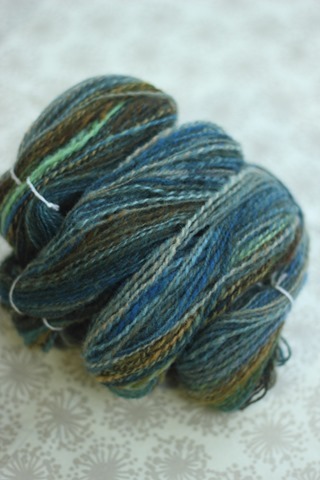 This was Ewe + Me Yarns which I had ear-marked for a dressy open-front cardigan … but now I’m thinking about a shawl. I have a good amount of yardage and could make a really great something. I’ll have to cruise patterns to see what I can find! 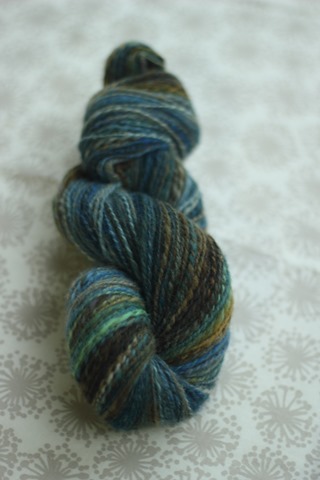 Fourth on my wheel was another Ewe + Me Yarns. 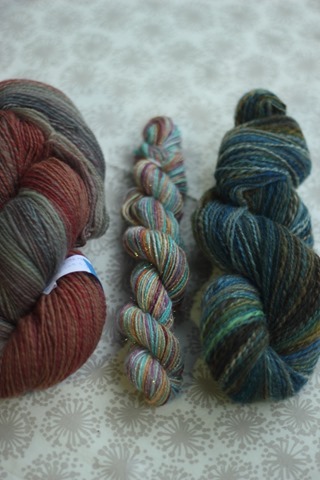 This is a new colourway from her and her daughter. 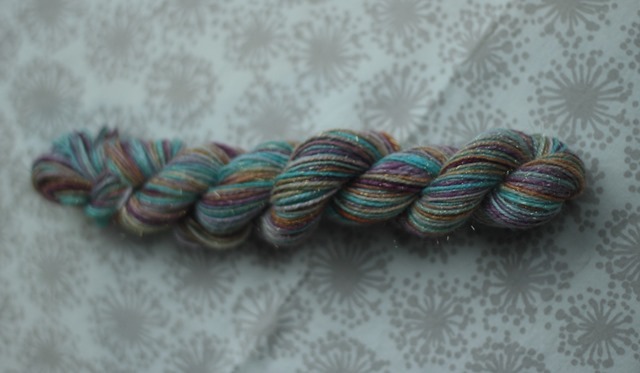 I was so excited to see how it would spin up that I did a test skein for Spinzilla but I forgot to stop spinning, so it is more like a mini-skein! 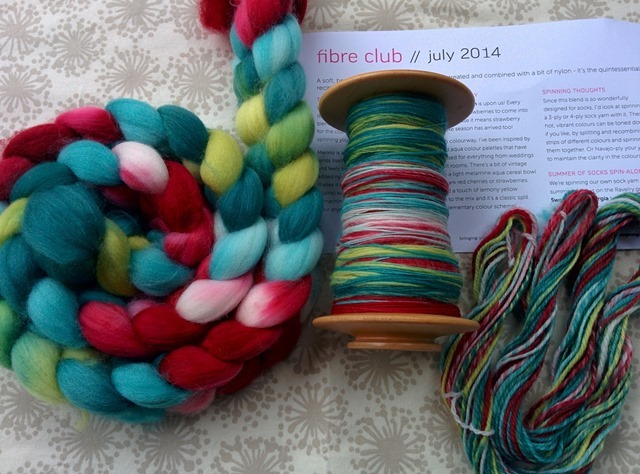 Lastly, I decided to dive into my September 2014 Spunky Eclectic fibre club. 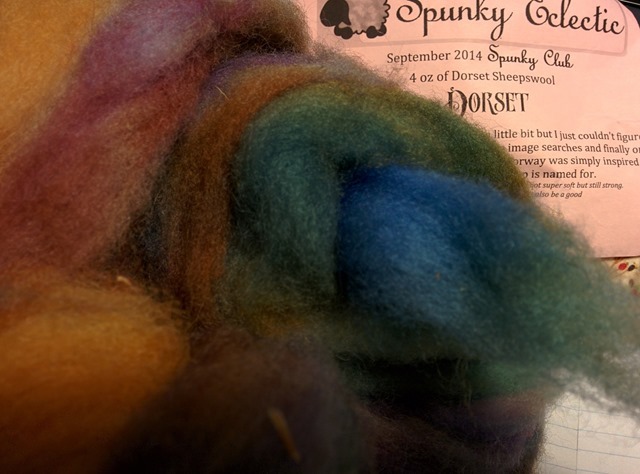 It was Dorset down which I have never spun before. I was quite nervous … but after playing a little and reading what Amy had written about the month’s club, I actually quite enjoyed this spin! I used a long backwards draw, low twist but enough to fibre lock (I found this was quite hard to do at first – it kept just coming apart like bison or buffalo does!). I used my largest and therefore slowest whorl which worked out quite well. 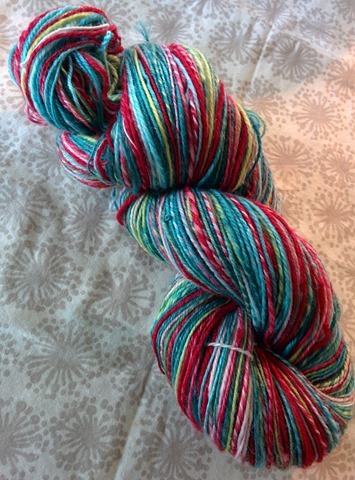 I am excited to get into the second half of this spin since I only finished half the braid. 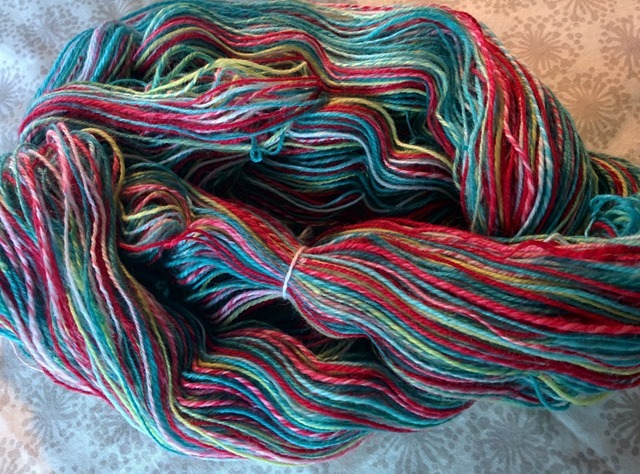 I am spinning it in the same way as the Ancient Arts above: two long stripes, end-to-end. 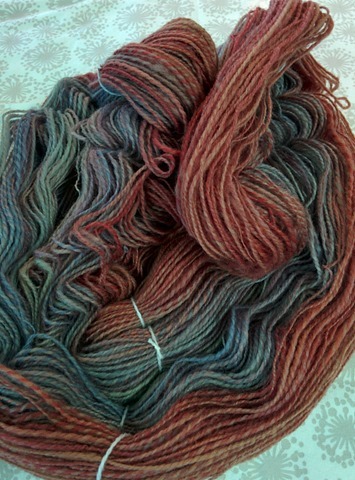 As I finish each of these spins off completely (finish spinning remaining fibre, washing & drying, future knitting, etc. ), I will share more with you about each spin. This summary post acts a personal challenge to myself to spin over 4,000 yards next year! There is absolutely no way that I could have spun this much without my mother-in-law visiting currently. She was able to distract J in particular so that I could continue on spinning when he needed some one-on-one time. He didn’t nap all week, which I was relying on to get the majority of my spinning time done. She was a rock star in allowing me to continue when I know she was feeling as tired as I was! I think that she definitely receives half of the credit for the amount I finished! 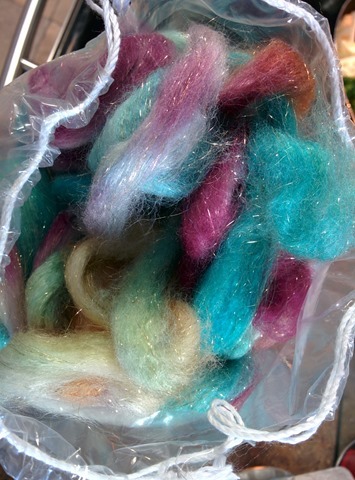 Did you meet your Spinzilla goals? Are you as tired as I am?! 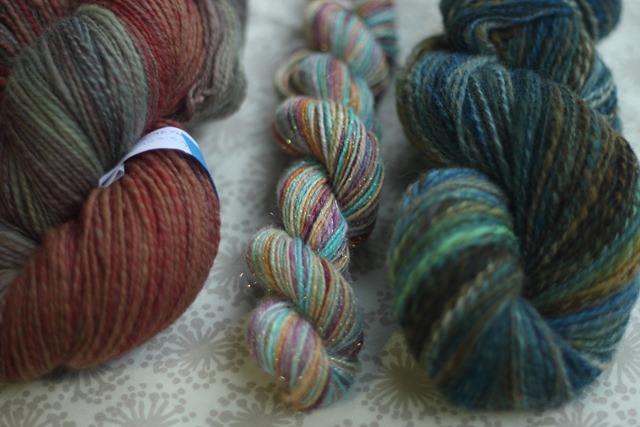 I hope, as I am, that you are looking forward to Spinzilla 2015!